Dimensions: 56L x 27.8W x 26.7H in. 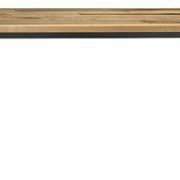 The Hanover Large Resin 56 in. 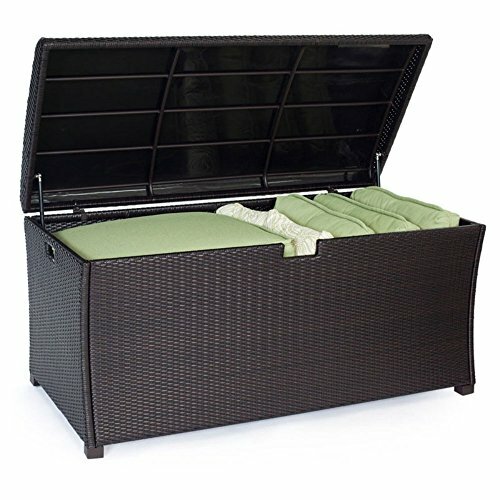 120-Gallon Outdoor Deck Storage Box is a handsome outdoor storage solution for your deck, patio, or garden. 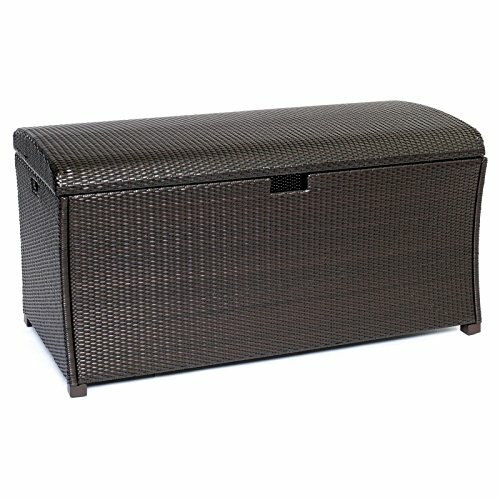 This deck box features a durable weather-resistant aluminum frame hand-woven of all-weather resin wicker in a dark brown finish. 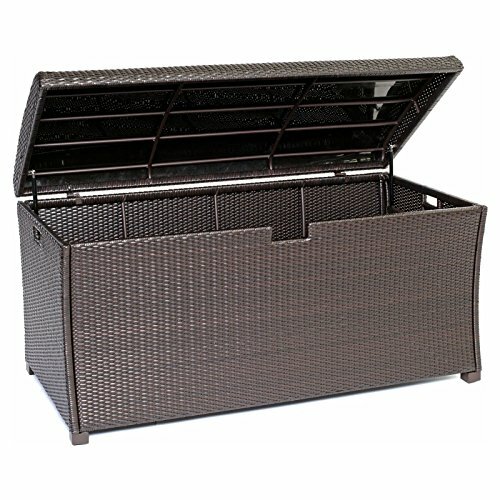 Its hinged lid has a stay-open feature that offers easy access to the generous storage space within. 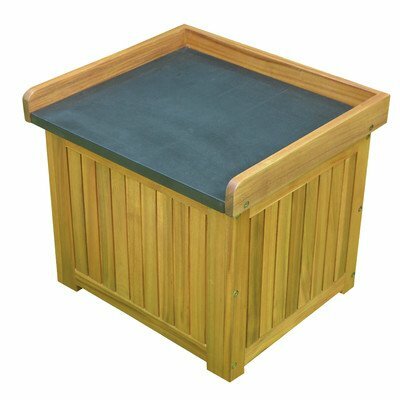 This deck box is ideal for storing cushions, pool accessories, garden tools, and more. 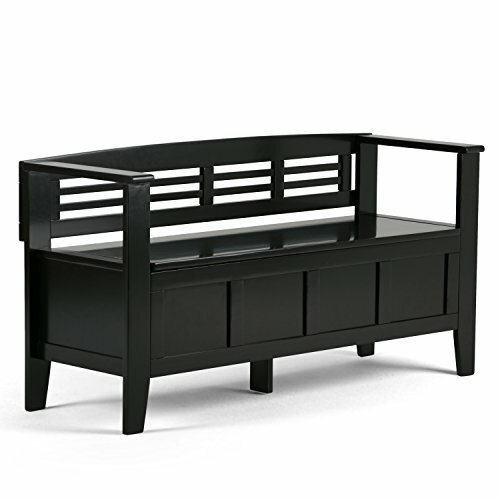 Dimensions: 56L x 27.8W x 26.7H in. 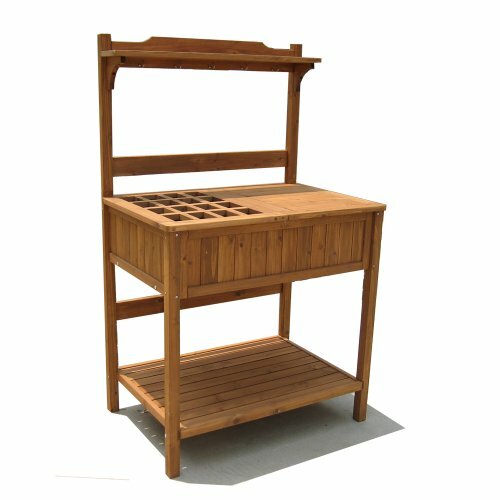 About Hanover Products When shopping for housewares and fine outdoor furnishings for traditional and contemporary spaces, Hanover Products has what you’re looking for. Their products are built from the finest, highest quality materials to ensure durability and beauty that lasts for years. 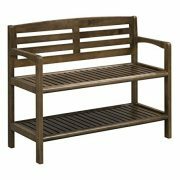 For your outdoor spaces, Hanover offers a full assortment of outdoor furniture from deep seating, to dining, to fire pit chat seats, and all the accessories you could want. Collections are always evolving and expanding to be on trend and to fit a variety of lifestyles. Dimensions: 56L x 27.8W x 26.7H in.. 120-Gallon capacity interior. Hand-woven resin wicker over aluminum frame. Dark brown wicker finish. Hinged top with stay-open feature. Notched front and side handles. Designed for outdoor use.